A visit to this sanctuary is a must for all animal lovers when visiting Corfu. 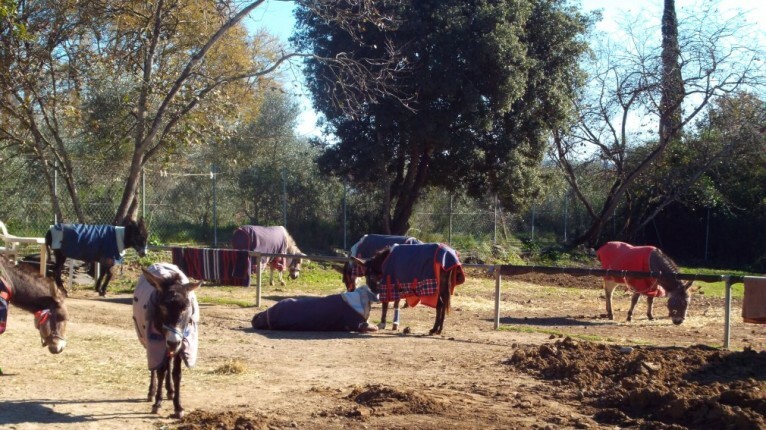 After very humble beginnings the rescue centre now cares for around 50 donkeys at any one time and they have recently moved to their own premises near Doukades in the centre of the island – it is also a fully registered charity now. 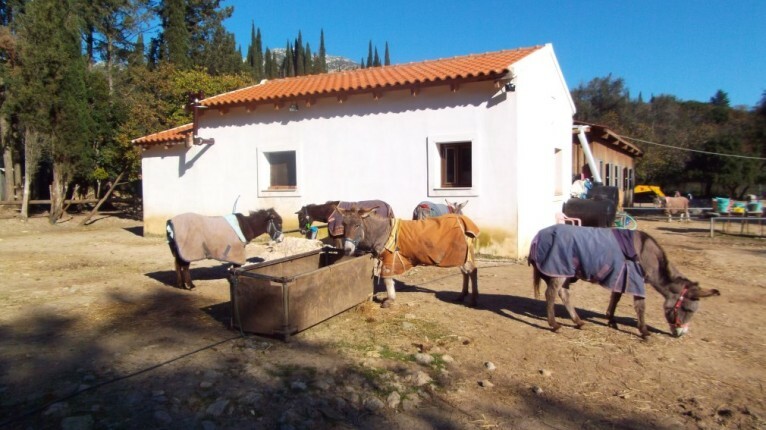 Judy Quinn the founder of the Corfu Donkey Rescue remains firmly at the helm and is joined by volunteers in their dedication to making life more bearable for the donkeys who are lucky enough to find their way here. It is a safe haven for the old, injured, sick and abused and it is heartwarming to see how quickly these amazing creatures regain their trust in the human race after just a few short days. There is no charge as such to visit the centre although any donations are gratefully received, no matter how small, as expenses are astronomical. One of the volunteers will show you around and you can be sure that the donkeys will always readily receive a little love and attention. 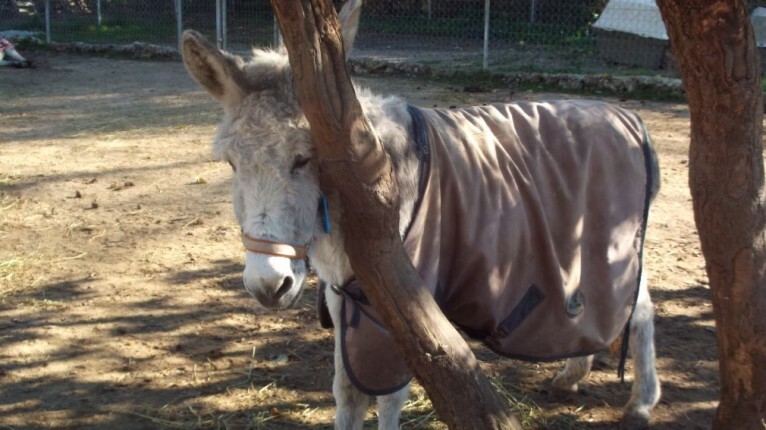 Apart from the donkeys there are always several dogs around – many of them in temporary foster care whilst waiting to be re-homed but some end up staying permanently. If you are not comfortable around dogs do not let this put you off visiting. Simply wait at the gate and a member of staff will secure them before you enter.